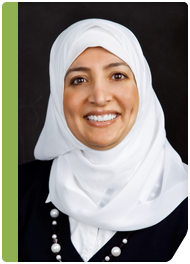 Poplar Healthcare » Maha Al-Khawaja, M.D. Dr. Al-Khawaja completed her medical education at the University of Jordan in 1998, where she also completed a 4-year surgical pathology residency, followed by a surgical pathology fellowship at KHCC in Amman, Jordan. Subsequently, Dr. Al-Khawaja joined the pathology program at Indiana University School of Medicine and graduated in 2010 after having completed a second pathology residency during which she served as chief resident. Dr. Al-Khawaja then conducted her fellowship training in gastrointestinal pathology at GI Pathology. She joined the group as a staff pathologist in 2011. Dr. Al-Khawaja is board-certified in Anatomic and Clinical Pathology, and is a member of the United States and Canadian Academy of Pathology, the American Society for Clinical Pathology and the College of American Pathologists.